If you are hungry, then visit the trendy streets of downtown Seoul, where a wide range of restaurants, from small and charming to premium places boasting famous chefs, serve the best of dishes to indulge Seoulites’ taste and style. No matter which restaurant you pick or what you choose from the menu, you will surely enjoy the adventure. Time, then, to start exploring Seoul. If you enjoy art and culture, take in one of Seoul’s many museums. A total of 137 small or large-scale museums are repositories for the 600-year history of Seoul and its present-day life, while 67 small or large-scale art galleries showcase the arts of Seoul. If you are looking for souvenirs and gifts at a reasonable price, then a duty free shop or a department store are excellent places to shop for luxurious designer items while a traditional market or the small stores that line the downtown streets are your best bet for unique, traditional items. 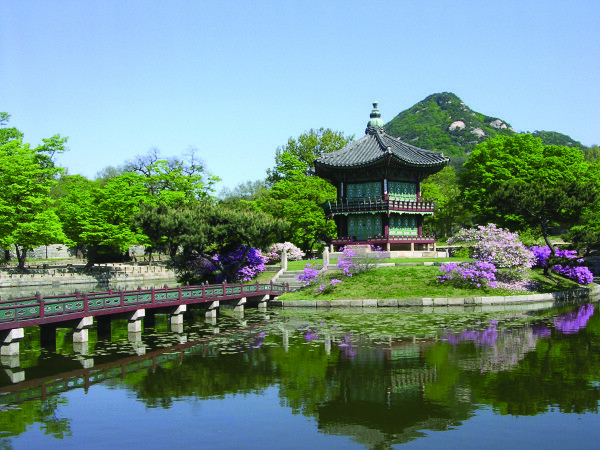 The palaces of Seoul offer the chance to retreat to serenity and calm. Visitors will encounter the quiet stillness of the palace and an architectural beauty recognized by UNESCO as well. The Hangang River is the best place in Seoul to watch the sunset. Take a cruise or visit an observatory on a bridge to watch the sunset over the river against the Seoul skyline. For dinner, a restaurant with a night view of Seoul is a must. Seoul offers over 7000 Italian restaurants. A glass of wine to accompany some rich cuisine and delightful service is sure to harmonize perfectly with the sunset. After the sun sets, the night life of Seoul begins. Visit one of the clubs where such celebrities as Paris Hilton, Beyoncé Knowles or David Beckham have gone. Or why not enjoy a midnight snack at a 24-hour restaurant? Your cozy, comfortable lodgings will greet you when you come back from a night in town. The wide range of lodging available includes 21 five-star hotels, where rest is assured for your next exciting day in Seoul. B-boy: Korean b-boys (break-dancers) have mastered this dance craze. You can watch a powerful performance in Seoul. Capital of South Korea: With a population of over 10 million, Seoul is the center of Korean politics, economy and culture. Design Capital: Seoul was designated as “World Design Capital 2010” and a “UNESCO City of Design” in perpetuity for ongoing efforts to both preserve and enhance the local infrastructure in a fashion pleasing to citizens and visitors alike. Eco City: Empowered by the restoration of the Cheonggyecheon Stream and the development of World Cup Park, Seoul has developed into a world-class eco city. Food: Kimchi, Bulgogi, Bibimbap, and Galbi represent an integral part of the Korean national identity. Visitors can easily learn to make common Korean dishes in Seoul, which are not only good but healthy. Gourmet: There are many foodies in Seoul, a city that is proud of its variety of good food, Accordingly, a wide range of tempting restaurants cater to their appetites. Why not put on your gourmet hat and explore Seoul-style, Korean dishes? Hangang River: The Hangang River’s wide clean waters flow under 26 beautiful bridges. It is a representative symbol of Seoul. IT: In Seoul, you can see and experience ‘IT Super Power Korea’ and encounter a variety of brand-new IT products. Korean Wave: Captivating Korean cinema, TV dramas, and pop music sparked an interest in Korea that is often referred to as the “Korean Wave”. This sensation started here in Seoul and spread throughout Asia. Language Services: A variety of interpretation services are provided for speakers of other languages. Just call 1588-5644 on any phone. Your Seoul tour will begin with ease and comfort. Medical Tour: Many foreigners visit Seoul to experience world-class Korean medicine. In particular, plastic surgery clinics, eye clinics and dentistry are popular. Nonverbal Performance: Various nonverbal performances from Korea have been praised at the Edinburgh International Festival. 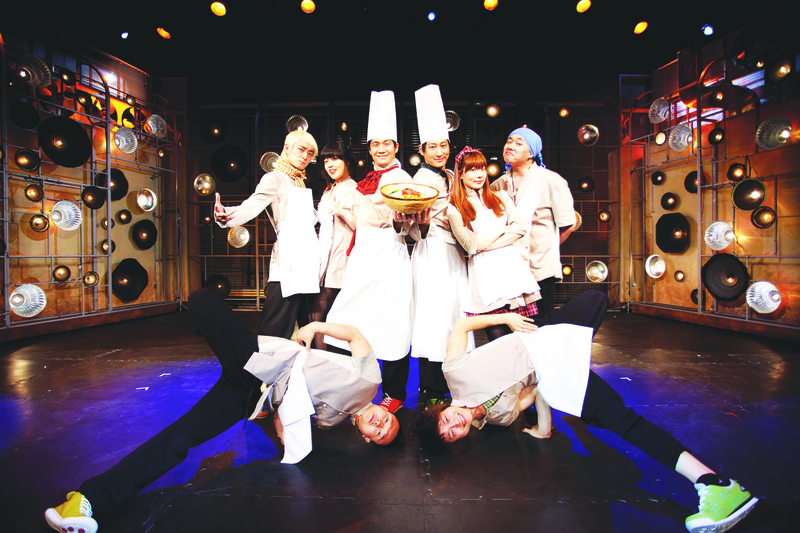 These nonverbal performance theaters are located in Seoul. 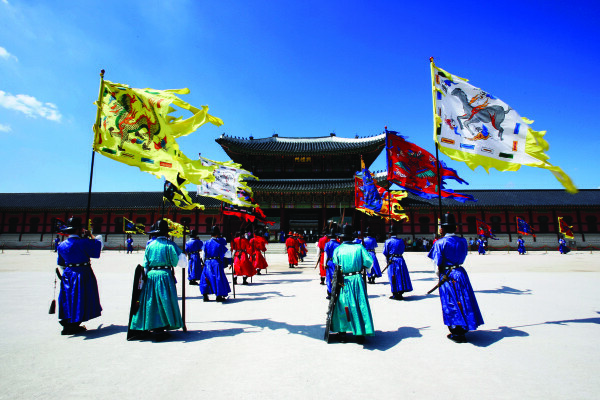 Palace The Five Royal: Palaces of the Joseon Dynasty are located in Seoul. They proudly represent and display the elegance and refined beauty of Korea’s past. 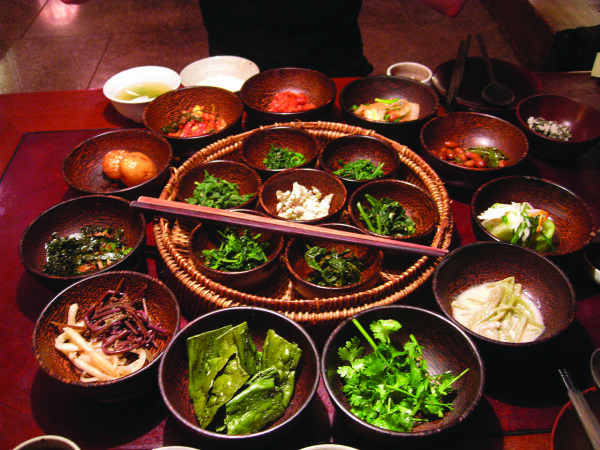 Royal Cuisine: The royal cuisine of Korea is created with fresh ingredients brought from all over the nation. You will be amazed at the beautiful array of unusual and colorful dishes. 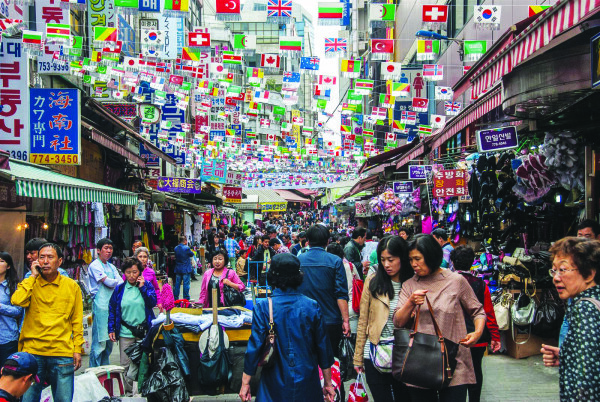 Shopping: Seoul is a shopping paradise with 24-hour shopping towns, many large flagship stores, brand name shops and traditional markets. Traditional & Trendy: Seoul is where tradition and modernity coexist. You will feel warmth and comfort in this metropolis. UNESCO World Heritage: Sites Valuable Korean cultural heritage: Because of their unique aesthetic beauty, Changdeokgung Palace and Jongmyo Shrine have been designated as World Cultural Heritage sites. The phrase ‘the 600-yearold Capital’ represents the pride of Seoul. It has been over 600 years since Seoul first became the capital of the Joseon Dynasty. Five historic palaces from the Joseon Dynasty including Changdeokgung Palace, a UNESCO World Heritage site, are found in this area. Near these palaces are old Hanok villages, composed of traditional housing, which will take you back to the past. The Korea House and Samcheonggak are also excellent places that must be visited to truly experience traditional Korean culture and ways of life. 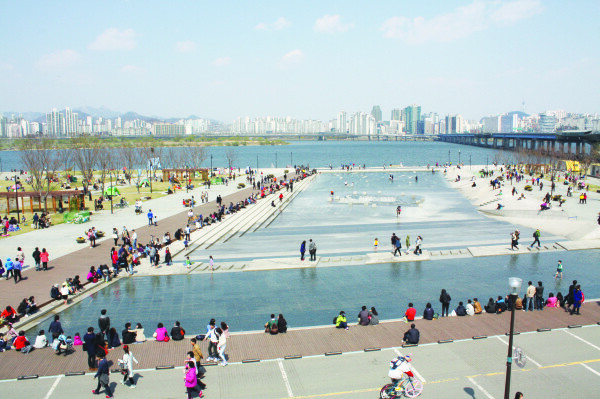 With the Hangang River separating Seoul into the northern Gangbuk and southern Gangnam districts, Yeouido lies in the very center. Stretching as far out as Mapo, the area is the business center of Seoul. From the heavily concentrated finance and media companies to the National Assembly Building, Yeouido is not only a business district, but also the core of Seoul. The nearby Hongik University District, meanwhile, has an altogether different atmosphere. Street culture and clubs, studios and shops owned by young artists light up the streets of Hongik from dusk ‘til dawn. The term ‘global village’ is the most suitable for this area. This district is characterized by its unique cultural mixture of, not only American style, but also European and Middle Eastern influences as well. Yongsan has become the hottest place in Seoul for gourmands looking for exotic international cuisine, fashionistas with strong, unique personalities who want to express their individuality and young people who enjoy a New York-style club culture. The Gangdong area is not your typical Seoul and therefore makes for an intriguing alternative hangout. Seoulites relax with a walk through the beautifully verdant and picturesque Seoul Forest Park or by taking in fabulous views of the Hangang River and the many lakes of the area. The elegance of Seoul comes together in this area, thanks to a wide range of trendy items and luxurious shopping spots. Department stores showcase luxurious designer brands while the shop-lined streets, select boutiques filled with imported items and flagship stores are colorful enough to indulge the trendsetters of fashion. In addition, the Grand Table, which is an association of premium restaurants and clubs where Korean celebrities visit frequently, is also located here. People who want to experience the chic and stylish side of Seoul must be sure to visit the Gangnam area. 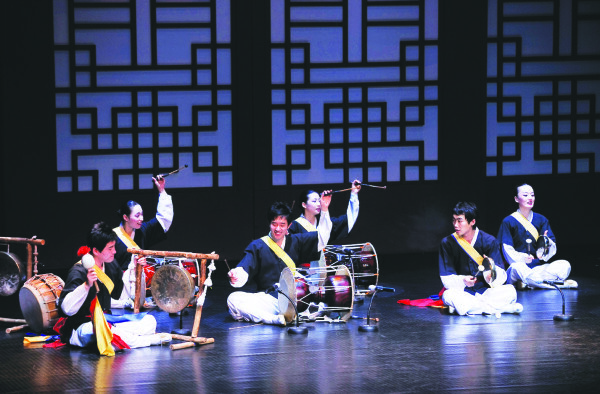 Where to enjoy traditional Korean arts?